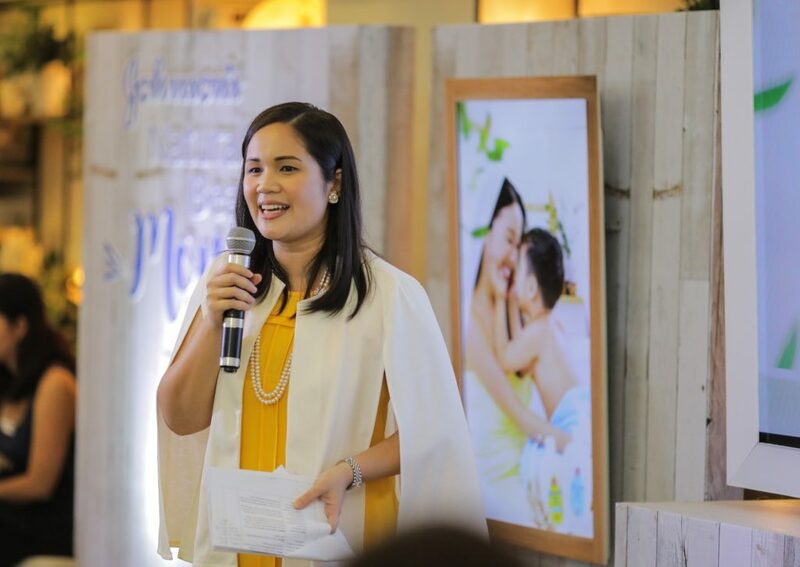 Last July 11, Johnson’s Baby PH, in partnership with Millennial Moms PH, celebrity moms and mom bloggers, together with their little ones were invited for a sumptuous brunch that was held at Happy Garden Cafe, Makati. It was the launch of their newest brand ambassador, the-ever-glooming preggy mom who also happens to be one of my celebrity mommy pegs, Bianca Gonzalez-Intal, together with her daughter, Lucia and her husband, JC Intal. Alongside the launch of their newest brand ambassador was also the launch of the campaign #NaturallyBeautifulMOMents which believes in the power of unfiltered motherhood. It encourages moms to embrace every inch of it and start empowering themselves one step at a time with the right platform, such as this campaign and with the right products, such as the JOHNSON’S® Milk™ Range. This is what Ms. Maimai Punzalan, JOHNSON’S® Baby South East Asia Marketing Director, who is also a mom herself, had emphasized during her short talk. JOHNSON’S® Milk™ Range products come in Bath, Lotion, Powder and Soap. With the natural goodness of milk, rice and oats making it 2x more nourishing vs. regular bar soaps, both mommy and baby can share naturally baby-beautiful skin for that effortlessly natural beauty that doesn’t need any filter. JOHNSON’S® Milk™ Range are available in leading supermarkets, drug stores, and department stores nationwide. Beautiful setup once you enter the venue. Savia enjoying her time checking on the milk range products of Johnson’s Baby PH. So generous of J&J for this token that we got to take home after the event. It comes with a twinning shirt for the mom and the little one. Thank you also for having us at your launch. Prior to the start of the event, the moms were asked to answer any of the 3 questions on the papers that were placed at their tables and post them on their social media accounts. Sharing with you (below) my answer to my chosen question. A fun artsy activity of cookie painting was facilitated by Tippy Go of The Googley Gooeys as a bonding activity for moms and kids at the event. This is personally one of my favorites because Savia and I really got to bond through arts. Though we did not have a picture together during the activity, super thanks to Mommy Dette Zulueta of the Millennial Moms PH for taking this photo of us. It was indeed a fun-filled event with learning takeaways and a day to remember meeting fellow mom bloggers who also have the same goals in inspiring and empowering other moms through our chosen advocacy. And apparently, the little ones also enjoyed as much the moms did. 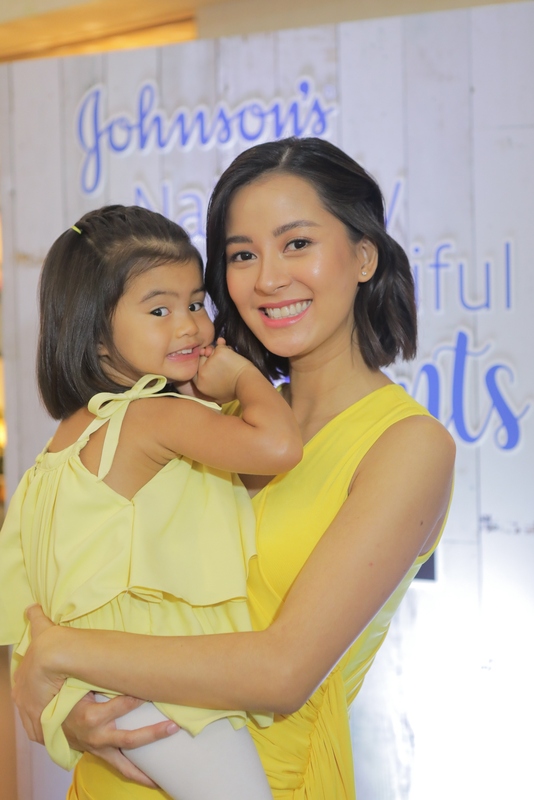 As a first-time and stay-at-home mom to our daughter Savia, it is such reassuring to know that there are celebrity moms like Bianca Gonzalez-Intal and staple baby products such as JOHNSON’S® Baby PH that are one with us in embracing and celebrating our natural beauty brought about by motherhood. Never compare yourself to any of them because motherhood may be messy and unglamorous BUT it is what makes it BEAUTIFUL. Next Next post: PUR, a Leading Baby Brand from Thailand is now here in the Philippines!